I have been natural for over 4 years now and my newly natural self, I'm sure, thought that I would have it down pat by now but I am still learning. The first two years of my journey, single strand knots and split ends were foreign to me; they were not even on my radar. I thought I had dodged this bullet so many other naturals got hit by. As I grew my hair to longer lengths I learned that I hadn't dodged the bullet, I was just biding my time. My hair is of medium density but the strands themselves are fine and fragile. Like I've stated in posts before, some of our practices are different than our coarser hair strand sisters. The longer our strands get the more gentle we have to be to keep our length and we have to find ways to fortify them. I seem to be stuck around BSB (below shoulder blades). If I get slightly past it, I experience breakage and knotting and have to cut back to BSB or slightly above it. So I took to doing some research to figure out what else I could be doing to have my hair knotting and tangling less so I can retain more length and get over this hurdle because I want to be at MBL by the end of this year and I think I have a good shot at it if I tweak some things in my regimen. Once I went natural, I kind of abandoned protein conditioning. I thought it was more necessary when I was relaxed because my hair was chemically processed. 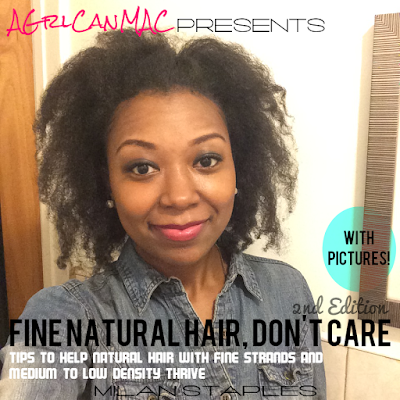 But I am learning that fine hair thrives from protein conditioners too. I love Aubrey Organics GPB conditioner because it's a balance of protein and moisture in one and my hair really likes it. I am going to make it a point to use this every other wash (don't want to overload my hair with too much protein) and monitor my results. Lately I've been very lazy with washing my hair, like only washing it once a month lazy. While this works for many naturals, I think this may be doing more harm than good in my case. Fine hair gets weighed down and accumulates build up more easily so after 2 weeks, I have build up but I have to keep up with moisturizing or my hair will dry out, and it builds up more with me applying more product to keep it moisturized. I think my hair can't go so long in between washes. I think, looking back, my hair thrived best when I washed it every 1-2 weeks so I am going to go back to this. I may even try co-washing again since there are now cleansing co-wash products on the market now. I think I need to tweak this some. I'm not sure how yet though and washing my hair more frequently may negate me having to change anything. 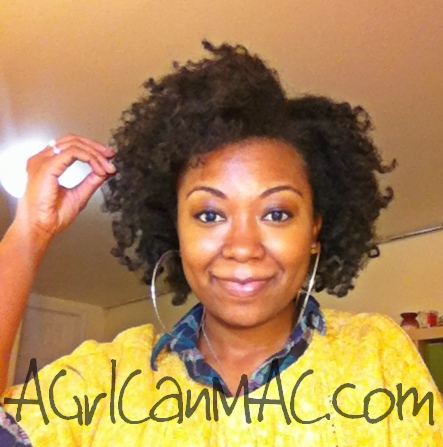 I want to try the LOC method for moisturizing my hair. When I take my twists down, I'm going to try it, just using lighter products each step of the way. I keep saying "aint nobody got time for that" but maybe I need to make the time.If I can find the right product combination to aid in this, maybe it won't be so bad, I'm open to giving finger detangling another try because how I was doing it before was a nightmare. I'd never seen so many broken hairs on the floor, it was awful. Once I take these Marley twists out, I will be trying all these things to see what happens and of course, I will be utilizing protective styles, keeping my ends tucked away and manipulating my hair as minimally as possible. I've got a shot at MBL stretched before this year is up. Let's go! Yes..fine hair thrives on protein (not a lot though). Aubrey Organics GPB is a great conditioner for protein treatment. It is very light. Hi Coily Bella: Thanks for leaving a comment. I can't see your earrings all the way but I think they're really cute from what I can see! I'm thankful that i've never overloaded my hair with protein but I know better than to try to push it. Lol. I think my hair will benefit immensely from me using a protein conditioner every other wash. Your hair looks so beautiful in that picture! I have the same issue and all of those changes you are considering seem to be working for me. I am hopeful that we will both make it to MBL by the end of the year! I too have fine strands and my hair density is THICK. I just recently got my hair blown out and trimmed and trying out ways to keep the single strand knots to a minimum. I am currently trying the LOC method and it is working out great, give it a try. Also I am with you with that finger detangling not a fan but if it will reduce breakage, i will have to give it a try. Thanks for the recommendation of the Aubrey Organics. I tried it once before at the beginning of my natural journey, have to give this a try as well. I have a full head of fine strands with a hair density that is THICK!!! I just recently got my hair blown out and trimmed so I am ready to keep my ends in good shape to retain and gain some length. I have started the LOC method a couple of months ago and it has been working very well, I highly recommend this method. I also not a big fan of the finger detangling, but if it will get me to retain length, I will begin to try this and see what happens. Thanks for the recommendation of the Aubrey Organics. I tried this earlier in my natural journey will have to pick this up again. BTW your hair is GORGEOUS! !